Interested in shopping for a Toyota certified pre-owned vehicle, but aren’t entirely sure what benefits are involved? No problem! 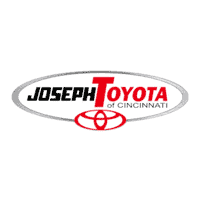 At Joseph Toyota of Cincinnati, we are dedicated to providing our customers with every resource possible for the purchase of their next vehicle. You may know that certified pre-owned vehicles are guaranteed to be in excellent condition, and offer low mileage and newer model years. However, the benefits of this high-quality inventory go way beyond these qualities. From incredible warranties, affordable pricing, and clean vehicle history reports, we’ll take a closer look at why purchasing a Toyota CPO vehicle may be an excellent option for you. So, let’s get started! Give us a call, or head down to our dealership near Fairfield, OH today for a test drive! There are many benefits to purchasing a Toyota certified pre-owned vehicle, and many of them revolve around the strict requirements of the CPO program. In order to become certified pre-owned, a vehicle must have low mileage, be in excellent condition mechanically and aesthetically, and be of a recent model year (typically no more than 6 years old). If a vehicle meets these requirements, it must then pass a rigorous inspection process by a team of certified Toyota technicians. Overall, Toyota certified pre-owned vehicles are an excellent option for many types of drivers. Whether you’re looking to save money, purchase a vehicle of guaranteed quality, or are even interested in finding an affordable vehicle with premium features and a recent model year, CPO vehicles provide the ultimate solution. To learn more about what these vehicles have to offer, as well as what we currently have in stock, be sure to check out our helpful website today! From there you can easily view our CPO inventory, apply for financing, value your trade-in, and see what else Joseph Toyota has to offer. But first, you may want to check out the differences between our other available inventories. If you’re still considering new or used vehicles, it can be helpful to know the differences between these available options. While new, used, and CPO vehicles all have their benefits, only one is the perfect match for your needs, lifestyle, and budget. Of course, new Toyota vehicles offer the latest features and will be your most expensive option for your next vehicle. Purchasing a new vehicle comes with several advantages, as well as several disadvantages. For example, perhaps the newest model has the all-new features you’re looking for, and of course you don’t have to worry about things like mileage or the vehicle’s history. However, you’ll have to consider things like vehicle depreciation and new features that have not yet had much time to be reviewed by other drivers and critics. Overall, new Toyota vehicles are a suitable option for drivers looking for the latest in all categories of features and have a flexible budget to work with. Used Toyota vehicles truly come in all shapes and sizes, meaning your selection of these vehicles could vary greatly when it comes to mileage, model year, and features. Used Toyota vehicles sold from a reliable dealership like Joseph Toyota are sure to be high-quality and well-maintained. However, they do not go through the same extensive inspection process as the vehicles in the CPO inventory. For this reason, they are likely not to be in like-new condition and may have higher mileage and many available options could be of later model years. However, used Toyota vehicles are typically less expensive than Toyota certified pre-owned options for exactly these reasons. 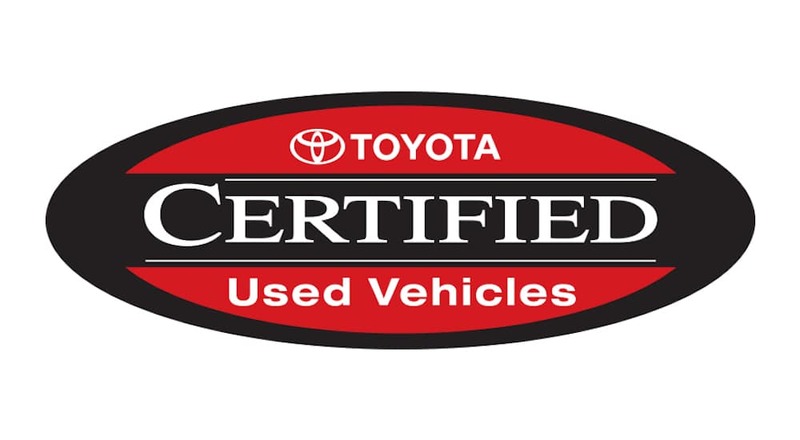 Certified pre-owned Toyota vehicles are still used vehicles. However, they have successfully undergone the rigorous CPO inspection process, earning the Toyota seal of approval in terms of quality and condition. As mentioned above, Toyota CPO vehicles will typically be slightly more expensive than used options, however they are still significantly less expensive than new models. The selection you are given of Toyota certified pre-owned vehicles from your local dealer will include strictly low mileage vehicles of recent model years that are in like-new condition. Overall, CPO vehicles are an excellent option for drivers looking for the highest level of quality possible for their used vehicle with all of the warranty options that come along with it. Meanwhile, used Toyota vehicles are a great option for drivers prioritizing affordability above all things. It should be noted however, that while CPO vehicles may have a higher starting price than used vehicles, the impressive warranties that are offered with them often offset future automotive costs significantly. When looking for a reliable dealership to purchase your next Toyota certified pre-owned vehicle from, you’ll want to check for a few key qualities. For example, each CPO vehicle shown to you should come with a clean vehicle history report. This report should be readily available for you to view for each and every CPO vehicle of interest. You’ll also want to make sure that the dealership you choose maintains their certified pre-owned inventory to the highest quality. Vehicles should be clean, the lot should be well-organized, and the sales staff should seem eager to show you any option in their CPO inventory. Of course, it is also important that the Toyota dealership you choose offers premium customer service and customer conveniences like in-house finance and service departments. If any dealership you visit does not check off these qualities, it may be time to look elsewhere. Thankfully, Joseph Toyota meets all of these requirements and more! At Joseph Toyota we pride ourselves on our Toyota certified pre-owned inventory, as well as the service we offer to our new and returning customers. Drivers interested in purchasing a CPO vehicle from our dealership will be delighted with the selection we have available. From the ever-popular Toyota RAV4 to practical sedans like the Corolla and Camry, we have everything you’re looking for in a CPO inventory. Each and every vehicle is thoroughly inspected, has a clean vehicle history report, and offers excellent warranty and roadside assistance coverage. We also offer the convenience of an on-site finance department and service center, so everything you need for your next vehicle is in-house! Every member of our staff is eager to serve you to the best of their ability and help you get into the Toyota certified pre-owned vehicle of your dreams. So, when you’re ready to see what our CPO inventory has to offer, check us out online, give us a call, or visit our lot during our convenient hours. At Joseph Toyota, you can feel confident in the quality, service, and price you’ll be offered!